Defender Faina Jacobs has been on a stern rise over the last six games and head coach John Baraza has parsed the former Muhoroni Youth and Mount Kenya United man for coming of age and being part of a rock-solid backline. Faina hadn’t played much in the opening exchanges of the season, but the defender, voted man of the match alongside Umaru Kasumba against Mathare United has seamlessly slotted into the team partnering Moussa Omar at the heart of defense. “I played with some of these players and sometimes understanding them is easy. During my playing times, I faced Faina several times against Muhoroni Youth and he was very tough. When I took charge as coach I knew exactly where to use him because I knew his strengths and he has repaid that faith with some good performances,” Baraza noted. In six games, the team has kept four clean sheets and conceded only three goals. 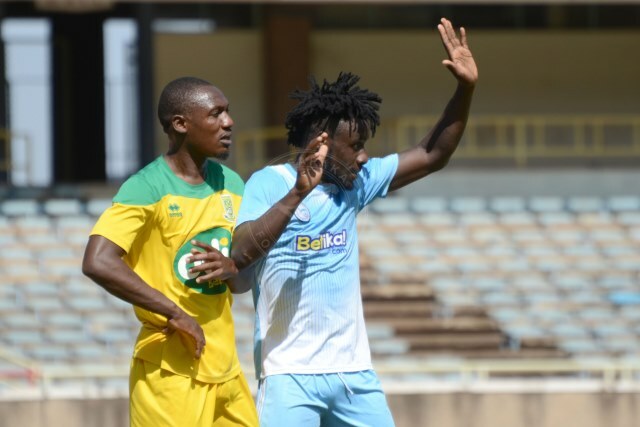 Meanwhile, the tactician has demanded more from the team despite Tuesday afternoon’s brilliant performance against Mathare that ended in a 4-1 victory at Kasarani. “The journey still continues and I need more from the players. This was a good performance today. The goals have been flying in training and it continued to the match today. It was important for us to win especially against a side that tops the table,” the tactician added. “This victory has added the team confidence especially ahead of this weekend’s game when we play the defending champions Gor Mahia,” the tactician stated.